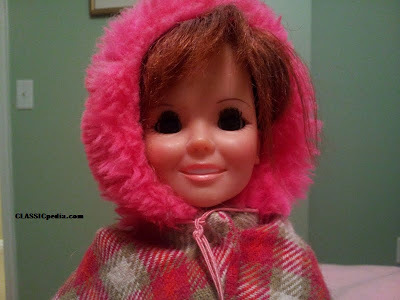 She is the first out of several Crissy Family dolls. This 1971 model has "growing hair" that you can make longer and shorter by twisting a knob on her back! I have several of her orginal clothing but am particularly fond of her "fun red cape" outfit she's wearing here. It reminds me of a red coat with pom poms I own. Click here to check out the other members of her family. 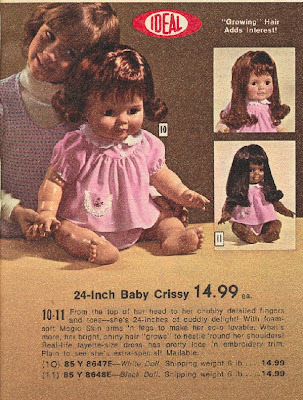 The last Crissy doll to be manufactured? First sold in 1973 by The Ideal Toy Corporation. She was re-issued by Ideal in 1981 and 1982. But by 1984, Baby Crissy looked nothing like the original. 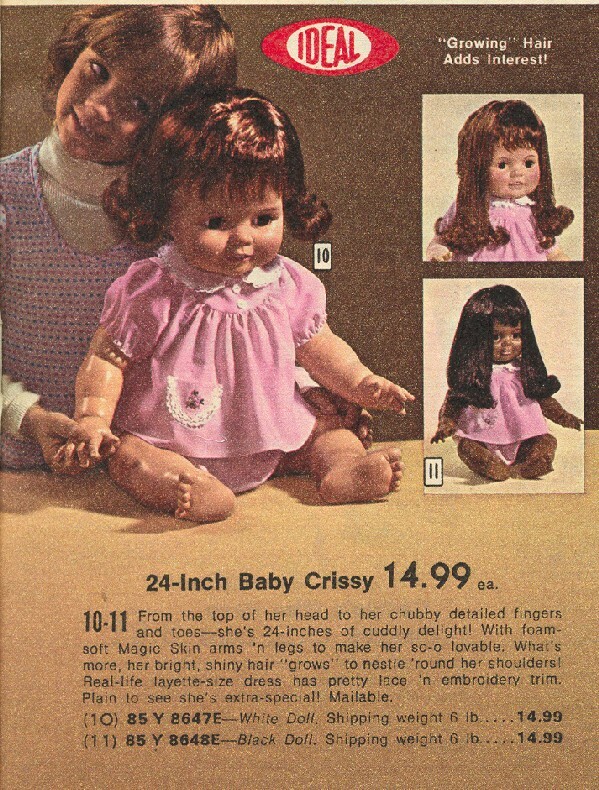 The last Baby Crissy to be manufactured was in 1995, which are apparently hard to come by. Click here to see what she looks like. So tastefully fashionable the original Crissy was. Not trashy like today's dolls.